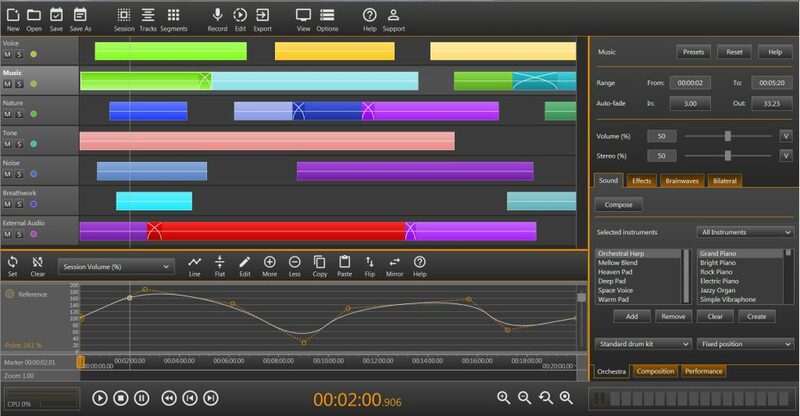 Sharm Studio is a software tool that lets you record, edit, and mix sounds. You’ll be able to create effective, high-quality, studio-level audio soundtracks quickly and easily. Precisely control different audio and music aspects with a simple-to-use graph panel. You can compose beautiful background ambient music without any prior music knowledge. 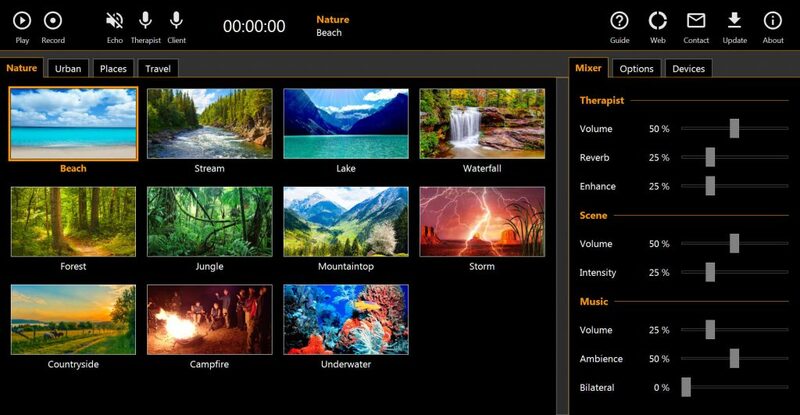 Sharm Live enables professional therapists to easily perform live recordings of therapy sessions for any purpose, including working live with clients, without the need to prepare anything in advance. Simply run the program and start recording the session. You can control the intensity of scenes, music and voice during the session. Take you client on an inner journey in real time, and “be there” together in the immersive virtual reality audio scenes.